Beginning in 2019 we will have our monthly meetings at Asbury United Methodist Church, 6767 S Mingo, Tulsa, OK 74133. The meeting times will remain the same: 3rd Thursday at 6:30 P.M. 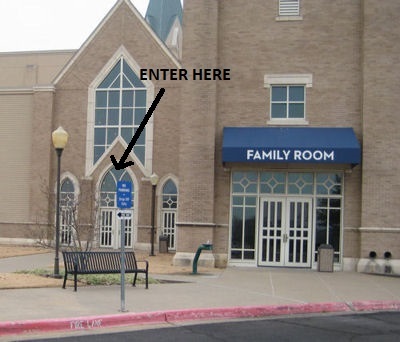 Enter at the North entrance which is immediately to the left of the blue awning. We will meet in room 1502. Come to the May meeting to hear Earl Massoth speak about Reginald Fessenden, Pioneer of Radio. Listen to Joe Riddle's Old Time Radio Show every Sunday evening from 6:00 - 9:00 P.M. on KCFO (AM 970). The show is also streamed from the KCFO website. HLARA is based in Tulsa and since 2005 has served Northeast Oklahoma and surrounding areas. The objective is to promote the preservation of history, technology, and equipment of the early days of radio. Members share helpful tips on cabinet refinishing and chassis restoration. The monthly meetings feature a presentation on a radio related topic. Members are always encouraged to bring something for show and tell. Meetings end with an auction of items donated to the club.